Presidential candidate Hillary Clinton has long supported a death tax but new reports find that she doesn’t want to pay for it herself. "To reduce the tax pinch, the Clintons are using financial planning strategies benefitting the top 1 percent of U.S. households in wealth," Bloomberg reports. "These moves, common among multimillionaires, will help shield some of their estate from the tax that now tops out at 50 percent of assets upon death." According to financial disclosures, Clinton shifted the ownership of their New York house to residence trusts in 2011, which could save them hundreds of thousands of dollars in estate taxes. "The goal is really be thoughtful and try to build up the nontaxable estate, and that’s really what this is," says David Scott Sloan, a partner at Holland & Knight LLP. "You’re creating things that are going to be on the nontaxable side of the balance sheet when they die." 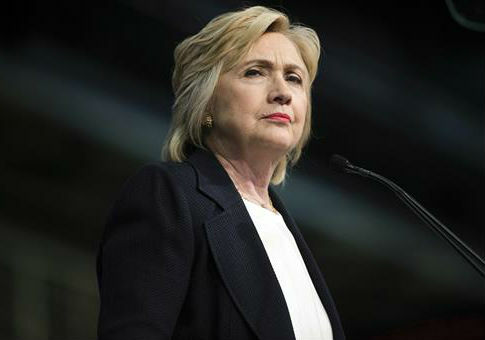 Clinton has said that "the estate tax has been historically part of our very fundamental believe that we should have a meritocracy," Americans for Tax Reform reported. "While Clinton is all too happy to use tax avoidance mechanisms, as a senator she voted against repealing the Death Tax and even voted against giving small businesses and families a higher level of Death Tax exemption."